An upright tree with a strong central leader. 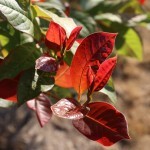 New leaves emerge bright, glossy red, maturing to dark green. Fall color is bright red, nearly neon in effect. It is adaptable to urban conditions. 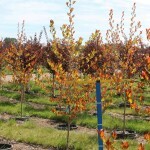 Plant in full sun in a moist, well-drained, acidic soil. Introduced by Steve Hottovy of Beyond Green LLC.